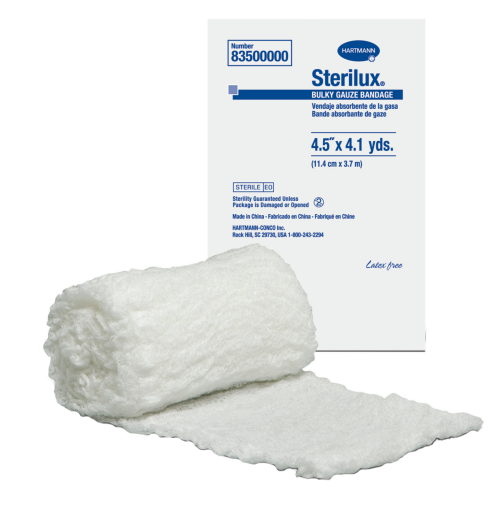 Sterilux 83500000 Bulky Gauze Bandage 6 Ply 4 x 4 yds, manufactured by Hartmann-USA, is a soft, highly absorbent and virtually lint free woven gauze. Wound care dressings have a variety of uses. 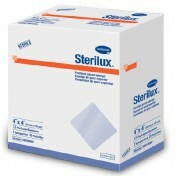 Sterile wound dressings are ideal for a primary dressing. This means that the sterile dressing can be in direct contact with the wound. 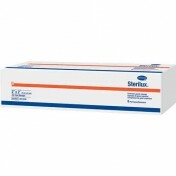 Sterile wound care dressings decrease the risk of contamination to wounds. This decreased risk also helps to prevent infection. This product features a 100 percent premium woven cotton design that allows the dressing to be highly absorbent and provide exceptional cushioning. This benefit along with it's sterility permits the dressing to function as a highly absorbent primary dressing or as a comfortable secondary dressing. This woven gauze features an additional benefit is it's design. With folded edges and a high yarn count this design helps to prevent unraveling and lint while providing protection and cushioning to healing wounds. This benefit also provides protection from contaminants or further unnecessary injury. 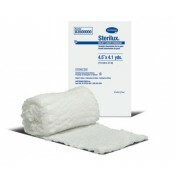 Available in sterile and non-sterile options, BUY Sterilux Woven Gauze from Vitality Medical today. High yarn count design provides high absorbency. Folded edges provide lint free dressing application. Soft texture for exceptional patient comfort. Great product. Bulky gauze is hard to find in my area or if they do have the right stuff its in a tiny package and expensive for how much you get. Our dog has an injured leg and we change the dressing 2-3 times a day, that can get expensive. This product was exactly what I was looking for, was priced unbelievably, and i could order as much as I needed. Great price and very quick delivery.